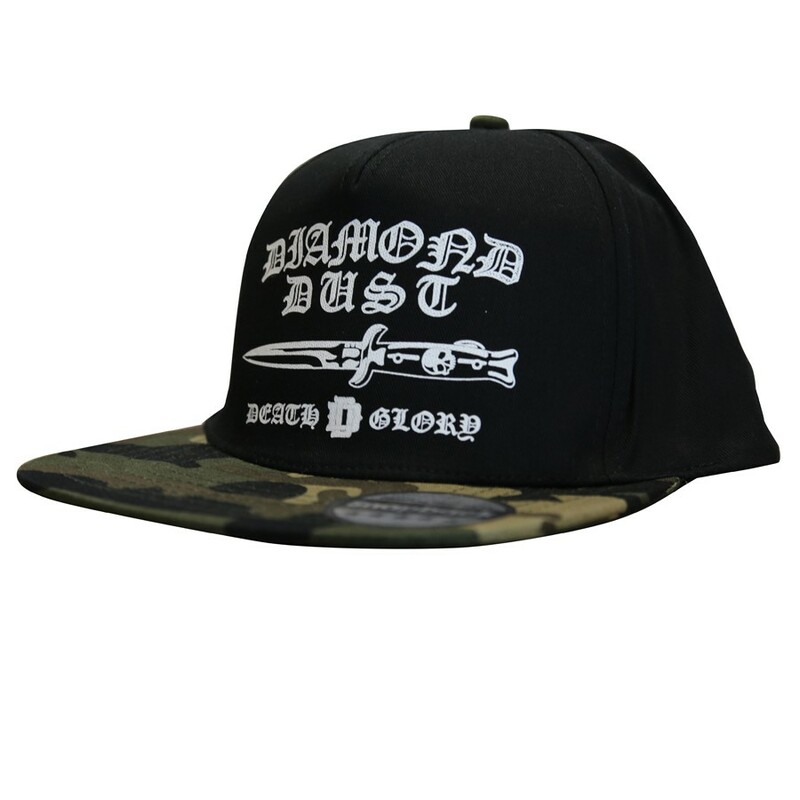 Cap Diamond dust typifies camouflage jungle for the visor and the black front. The logo Gothic Knife, inspired "Los Angeles Gang" with typical layout American universities. 100% cotton twilled. 5 panels. Flat visor. Carnations of ventilation. Motives camouflage. Adjustable by tongue of retro regulation Snapback. Detachable label.